Cornish services have designed websites in Portuguese and have also provided Portuguese and Brazilian search engine marketing to several different companies in different market areas such as education and healthcare. The Portuguese language uses the Latin character set. Like English, Portuguese is written from left to right. When converting websites from English to Portuguese more room is usually required for the text, so this can impact on menus and general layout. Portuguese words also tend to be longer which again can impact the visual appearance of the website. Portuguese websites could be hosted in Portugal, in Brazil or anywhere else. The US is a popular choice, and so is Spain, owing to relative costs of hosting. The Portuguese TLD is .pt) and the Brazilian TLD is .br. A common domain name extension to use for business in Brazil is .com.br. 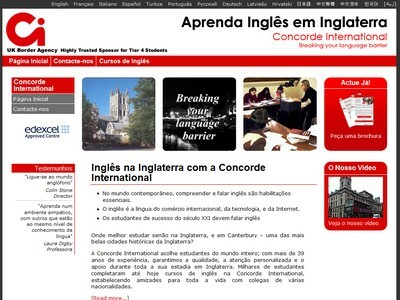 Cornish can provide different levels of search marketing in Portuguese. For all websites we design we automatically submit these to Yahoo and Google. We are also able to offer varying levels of ongoing search engine marketing and paid search (PPC) advertising. We have experience of marketing Portuguese languages websites in both Portugal and Brazil. The most popular search engines vary between these two countries. 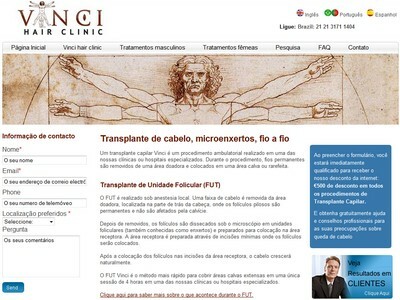 Looking for a company to translate and market your website in Portuguese? Cornish services have designed websites in Portuguese and have also provided Portuguese and Brazilian search engine marketing to several different companies in different market areas such as education and health-care.